Nowadays, you can use the internet as a platform, not just to interact with people across the globe, but also to find opportunities to showcase what you’ve got and to skyrocket your career. The demand for workers in the workplace has significantly increased the competition among job hunters these days. As a result, many candidates found different approaches to have an edge over their competitors. Most of them are taking advantage of their social media accounts to market their talents and abilities. When used properly, you can certainly land a job – the job you’ve been waiting for! In order to advance your career, you need to make more connections through job networking. The good news is that there are various social media sites that enable you to do this. Although there are different sites for building a career, never fail to choose those sites that are famous for providing different career-related activities such as building profile history, reconnecting old colleagues, joining communities of the same industry and searching for a company. Furthermore,consider only a few of these social networking sites rather than spreading yourself too thin. 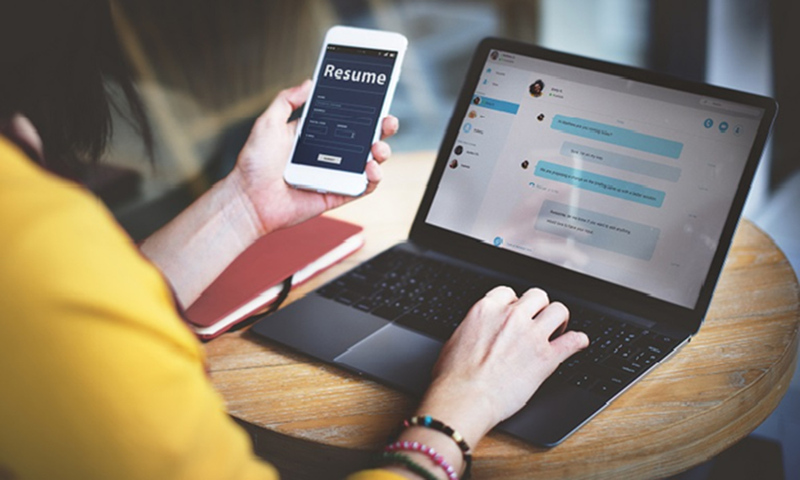 Perhaps you’ve heard others say, “Never hide your light under the basket.” The same is true when you are looking for a job.Put your resume online for possibilities that many will stumble across them and reach for you. To create an effective and robust professional profile as part of enhancing your social media visibility, consider highlighting your accomplishments. Use social media to share important information that demonstrate your achievements and commitments to your profession. So don’t forget to always be “findable” when using social media for your career goals. The nice thing about social media is that you can easily make a cultivated image of who you want to be known for. As a matter of fact, it has made attracting employers an easy thing to do. For example, you can use social media to post or comment on a specific hot topic, establishing yourself as an expert of it. By doing so, you are creating a reputation for yourself that can attract many employers. The rule however, is to keep them professional and appropriate always. What makes your resume stand out from the horde? This should be the first question you need to ask yourself before making one. You have to remember that there are hundreds of candidates out there who badly want the same job as you. Aside from showing off your work experience, job-related skills and educational background, give an exhibition of your interests such as traveling, cooking, sports and music. You can bring this information to the fore by sharing it to various social media sites. Never be afraid to post status and photos of what you are passionate about. Demonstrate your interest on a lot of things so potential employers can find you easy to get connected with. Because the internet is accessible these days, there is no excuse why you can’t find time to do all of these career-related activities. This entry was posted in Internet Job Searching and tagged recruiting, resume tips, resume writing.